Awareness or simply being able to identify your emotions and those of others. Use – the ability to effectively apply your emotional knowledge to tasks such as analyzing and solving problems. Management – regulating your own emotions and being able to positively impact others in an emotional way such as calming or encouraging them. Why Emotional Intelligence in the Workplace? 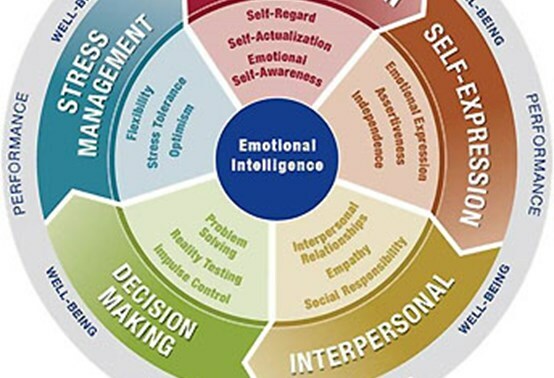 Emotional intelligence is increasingly factoring into hiring decisions as employers recognize the importance of building and fostering effective relationships in the workplace. Studies have shown that high emotional intelligence boosts career success, entrepreneurial potential, leadership talent, relationship satisfaction and happiness. It matters in every job because all jobs require dealing with people, and people with high emotional intelligence are better able to foster cooperative and functional working relationships. Coaching clients are looking to create change in the workplace and most change fails because of the individual simply lacks understanding of the human or emotional drivers. By being aware and developing EQ, clients can tap into valuable insight and take action to fuel transformation. EI assessment and coaching sessions increase self and social awareness of how team members engage best, building empathy to achieve team effectiveness. What is the EQi and what does the EQi® measure? How can the EQi® be used?